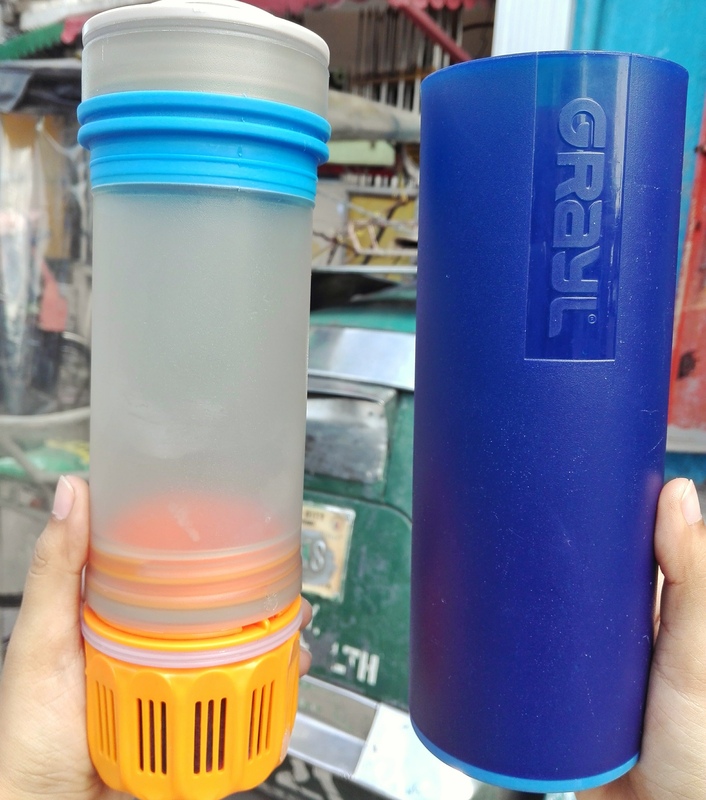 The Grayl Ultralight Filter was made by a couple brilliant world travelers who wanted a quick, minimalist option for purifying water anywhere in the world that didn’t involve using bottled water. And that they did. Their bottle is extremely good at purifying water to the zenith. Bacteria. Viruses. Protozoa. 99.9999% gone. That’s probably saying, “we guarantee it but we don’t want to get sued in case some new strand of virus comes through.” But besides these, it also cleans the water from gross chemicals, heavy metals, and bad flavors. And particles. All told, the bottle is made from food-grade materials, weighs 10 ounces without water, and holds about 16 ounces of water. It’s BPA free, as well as made from antimicrobial and chemical-free materials. Amazingly, it only takes about 15 seconds to filter and purify 16 ounces of water. The cartridge, once used, lasts up to three years, or 300 uses, whichever comes first. I’ve used this bottle camping, in city life in Orlando and San Francisco, floating down the American River (whereby I dipped the filter into the water), and it’s always been amazing. It is an extremely easy way to go anywhere and know you can purify water. No tablets, bulbs, batteries, chemicals, pumping, squeezing, or…waiting. More to the point, you can tell the water is clean. It's tasty and uncomparably smooth. The one caveat is, you need to make sure that you dry it out every couple days. That means, taking the interior sleeve out of the outer sleeve and leaving the cap off. This is important because the inner rubber ring on the cap is fairly porous and needs to breathe regularly or mold will start to grow. This happened to me. I caught the problem, removed the ring, and tried to wipe all the mold off—but it wouldn’t all come off. That’s because the material is porous enough that there are spaces for the mold to evade the abrasiveness of a cloth or sponge when you’re cleaning. I called Grayl about this and they instructed cleaning it with soap and washing it thoroughly, then letting it breathe in the future. If this doesn’t work, they can send a new one ring. Other than this, it is completely genius invention and I’m thrilled to be able to use it in the future. As a note, the filter is made in the USA, the bottle in China, and together the whole package has a 10-year warranty.